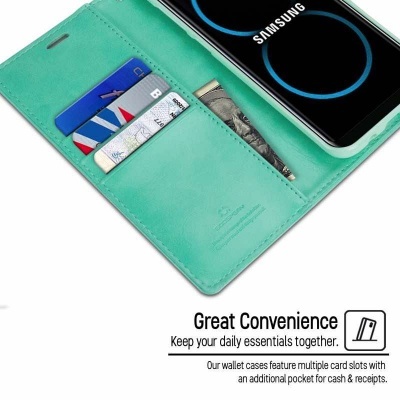 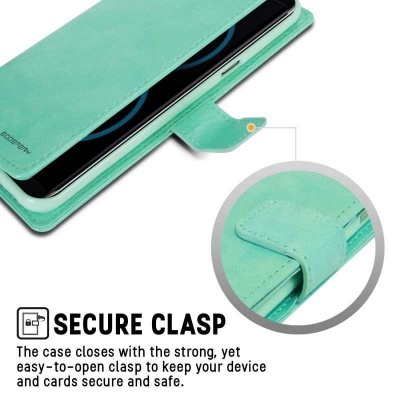 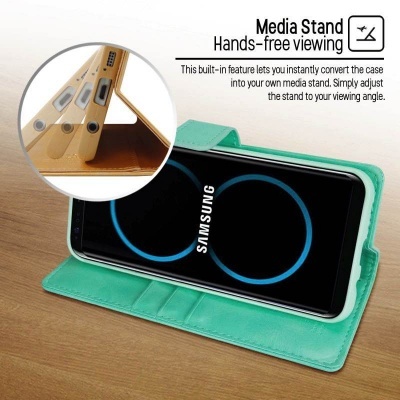 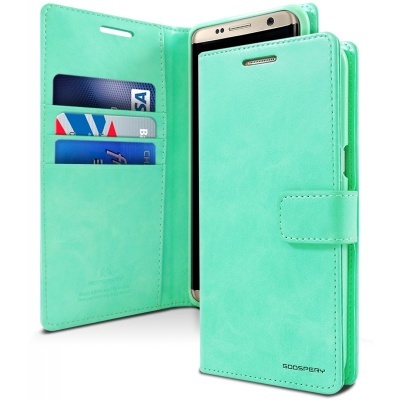 Samsung Galaxy S8 stylish Mint wallet case comes with an interior pocket to hold credit cards/essential ID. Made from soft and synthetic leather that also protects from drops. 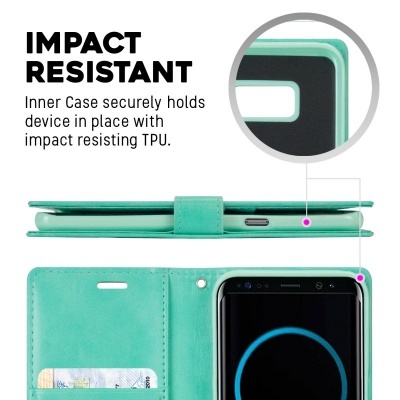 Interior TPU case absorbs shock and provides additional protection.